Karen Gummo is a storyteller and visual artist. She has been a lover of story, dance and image making for all of her days. A proud descendent of Danes and Icelanders who settled in Alberta between1889 and1927, she revels in family tales of triumph over hardship as well as the myths, sagas and legends of the Norse people and those from around our globe. 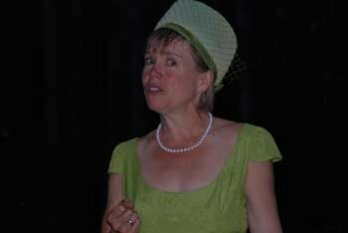 Karen has been performing and giving workshops in varied venues for more than 30 years. Lately she had the chance to travel to Iceland where she performed in schools and in a Saga room. She made new connections to her extended family and will return to deepen those bonds and perform once again. Karen collaborates with Jazz Persussionist Nate Chiang and classical pianist and composer Cheryl Cooney to enrich her storytelling. Karen has performed on radio, on the street, in parks, at libraries, in schools, for hospice patients, in bookstores, pubs, senior's lodges, wherever people gather. She brings history alive through her research, writing and performing. Recently she has been engaged with 4 other storytellers to retell the stories of the Person's Case. Karen toured Ontario with the Canadian Children's Book Centre in 2017 and has launched a picture book which she wrote and illustrated called Ladybird Fly.